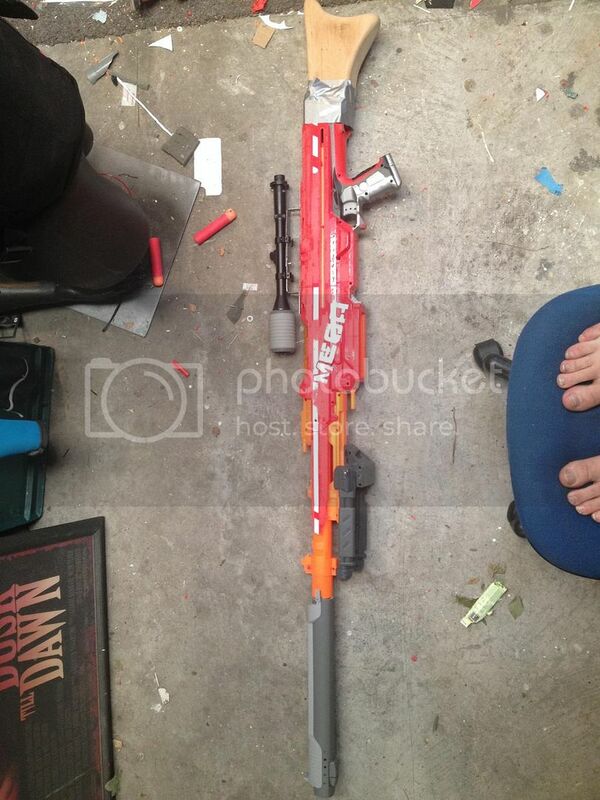 hey guys slowly building up my kit but i am heavily involved in building my heavy snipers rifle out of a modded nerf centurion. here is how far i have got! before i prep it for painting i was after some opinions as far as "nerfyness" goes i know that alot of bumps need to be removed but im just after the overall impression from you guys! @_@ Oh lordy... thats not just big bored, thats HUMUNGOUS. Thats what, fifty mill? 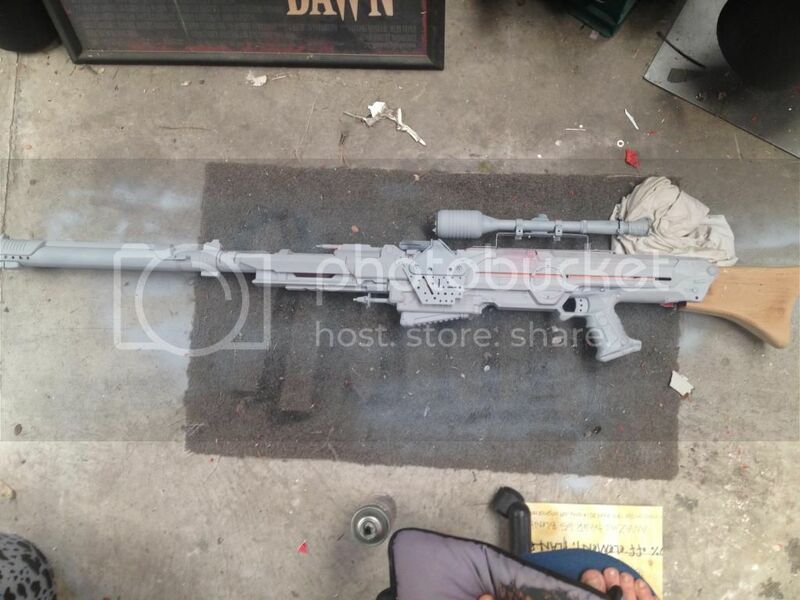 I love the Centurian nerf rifles, wicked things and almost as tall as I am. With what you've done already, its probably taller. Ye, though I walk through the valley of death, I shall fear no Evil. For Evil cannot touch me through my armor, nor get close with my weapons. 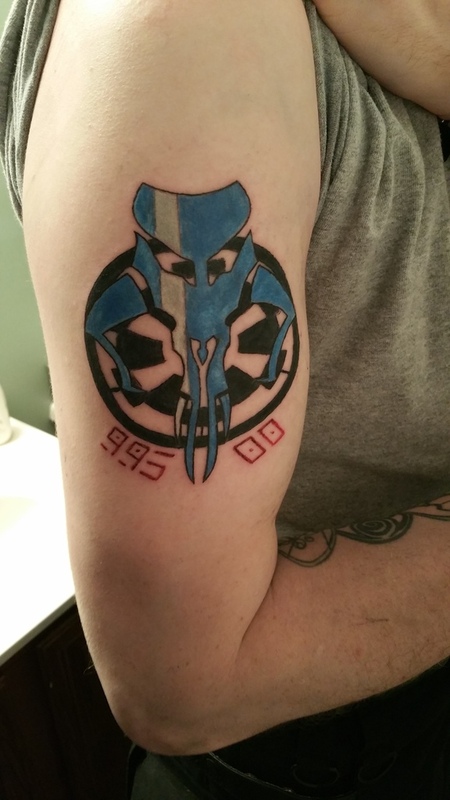 I have no blind spots, for I have my vode to watch my back for me. My feet are swift, my vengence just. Let those who stand behind me be protected, those who stand beside me be loved... but most of all, let those who stand before me DIE. Yep she's a big un! I don't need gaunts I've got the POWER GLOVE! I like the look of it so far! Keep it up, vod! Proud member of the Dumbstruck Podcast Team! fill all the screw holes, modofy the trigger a bit, remove and fill some of the slots and ridges, and the nerfyness will start disappearing. So what should I do to the trigger? 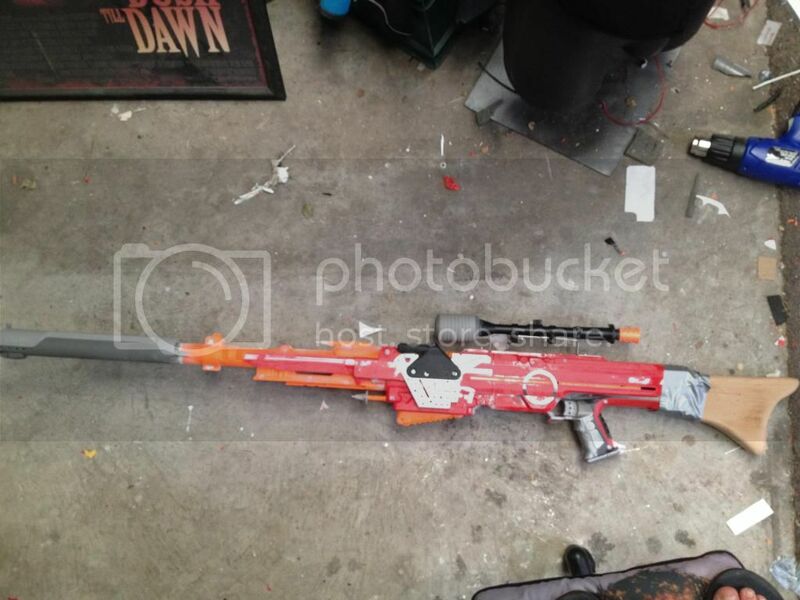 That type of trigger is hard to mod, maybe extending the holes that are in it. Or you could try to open the area behind the trigger if you don't mind having limited use. Sure its big, but can it blow something up. 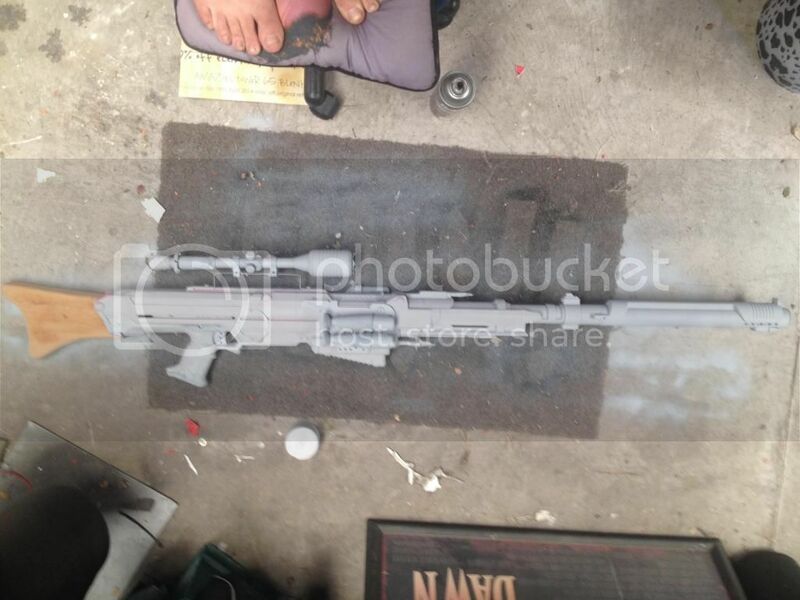 I just took out the back panel, and roughed up the trigger profile a bit. Removimg that backing is the main thing. losing that nerfiness i think now! 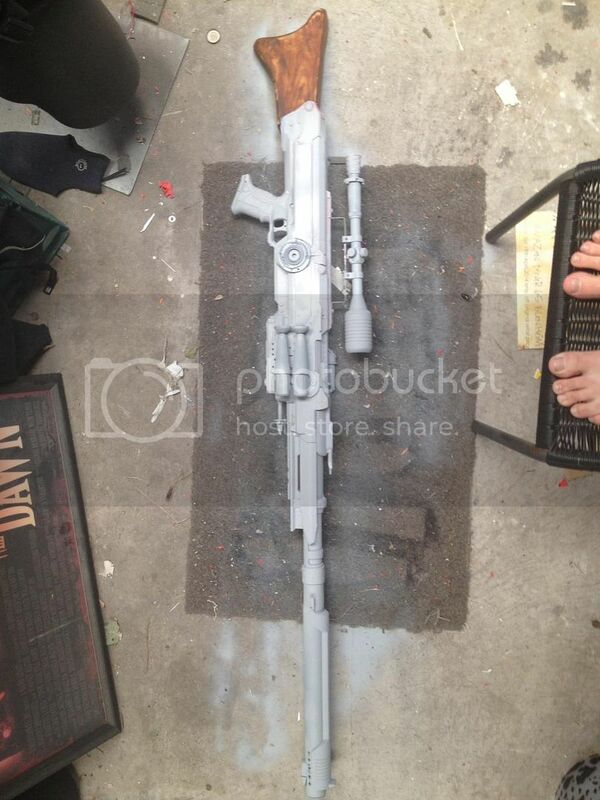 just gunna prime it stain the stock and cut up that pesky trigger! few more bits sanded down and a few more greeblies added, trigger trimmed out and with a few sintra sheets to cover up nerfy naughtiness! thoughts? will it pass approval do you think? That looks pretty good actually. There are a few small pieces that, since I am looking for them, i notice. But you are probably good. It will really come down to your paint job though. 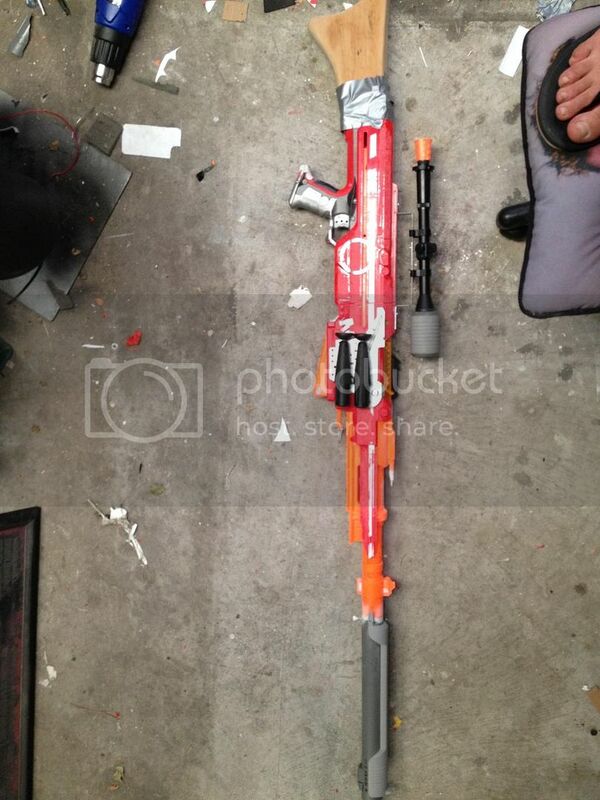 There aren’t a lot of Nerf mods that I am a huge fan of but this one looks like it is coming along very nicely. 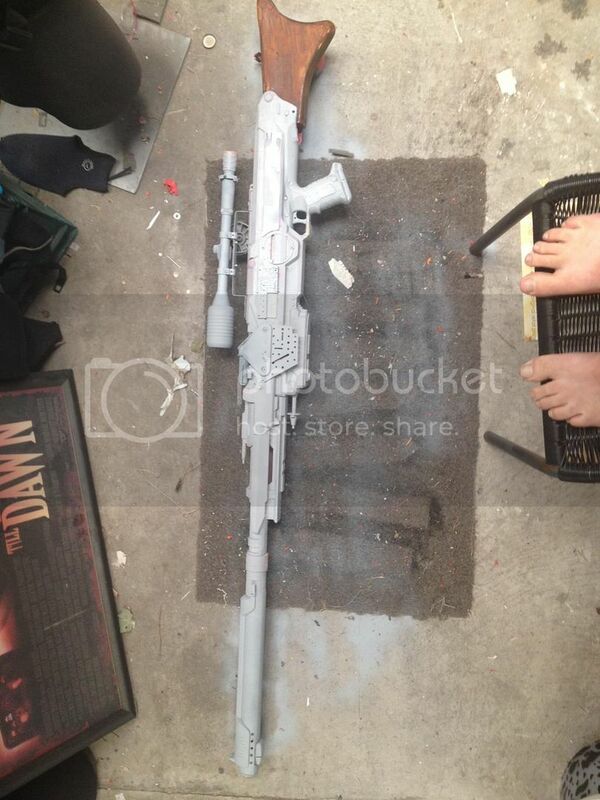 As Jorad said it will come down to the paint job to make this look excellent, but it has some real potential.